I’ll start with this: babies wake at night for a variety of reasons, one of which is that they just want to spend more time with mom! Keep that in mind when Baby is waking you up for the 3rd time tonight. And, some babies [like my son!] just need less sleep than others. Finally, if you’re breastfeeding, keep in mind that breastmilk is digested in less than 2 hours. So don’t be surprised if night feeds last quite awhile. That said, it’s certainly not unreasonable for new parents to want some uninterrupted sleep! These baby sleep hacks can help. Many newborns will sleep more soundly if they are swaddled. The snugness of the swaddle helps keep Baby from being disturbed by their own startle reflex, which can be present for up to 6 months. We are big fans of The Ollie Swaddle in our house! The swaddle’s fabric is so soft and luxurious. It’s even moisture-wicking! Plus, you can use the same size swaddle until Baby transitions out of swaddling [once they show signs of rolling over from back to stomach]. No need to keep buying more swaddles as Baby grows! 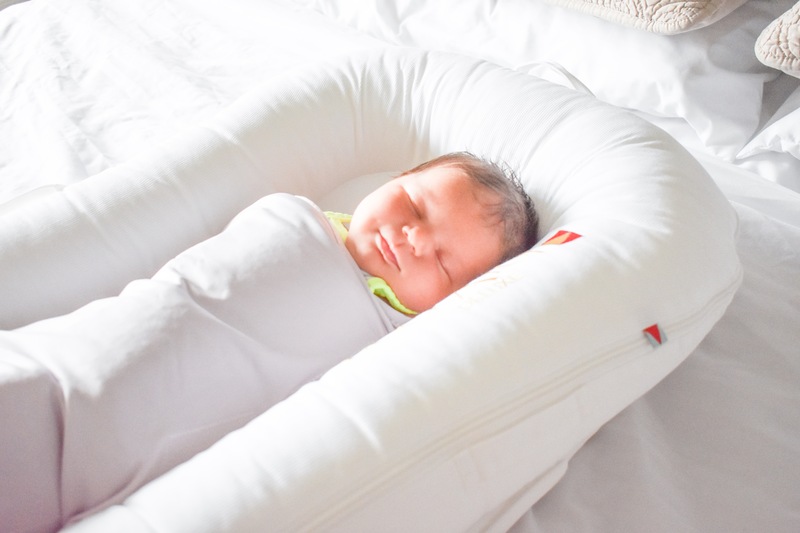 The Ollie Swaddle can be used to swaddle with arms in or out. Our son preferred arms-in swaddling, but our daughter likes arms-out. Experiment to see what works best for your babe. 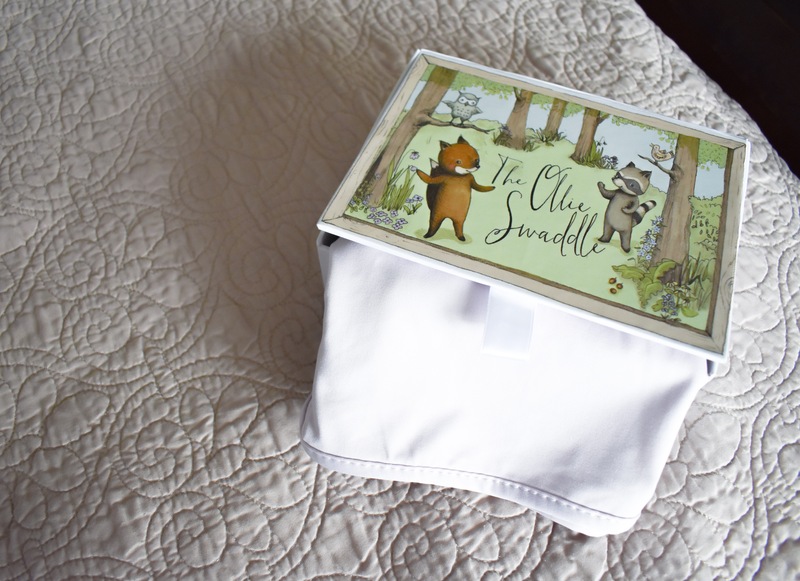 The Ollie Swaddle also makes a great gift for any new parent. 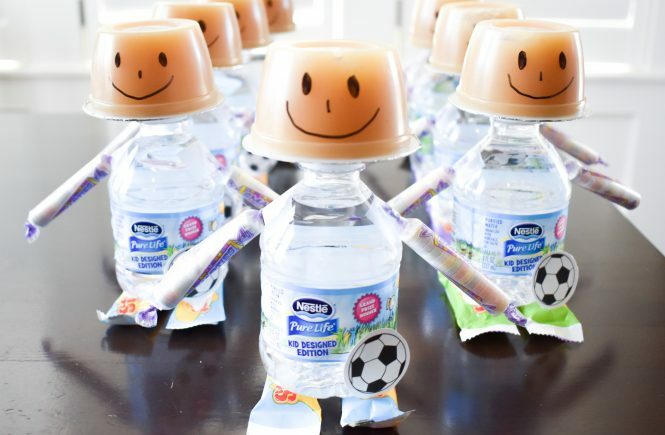 Just look at the adorable packaging! For our family, having Baby in the same room as us helps everyone sleep more soundly. My husband and I can check on Baby any time we want, plus it’s much more convenient to have her nearby for those nighttime feeding sessions! We also set up a changing station in our room so we can take care of all of her needs quickly during the evening. We made this mistake with our first baby. I tried to keep the house practically silent during the day, in hopes that he would nap [thus allowing me to nap!]. Unfortunately, this backfired, because he went through a period where the smallest noise would wake him from precious sleep. Now, with a toddler running around, keeping the house silent during the day isn’t possible. However, I think it’s actually made our second baby a better sleeper, because she will sleep through almost any noise! 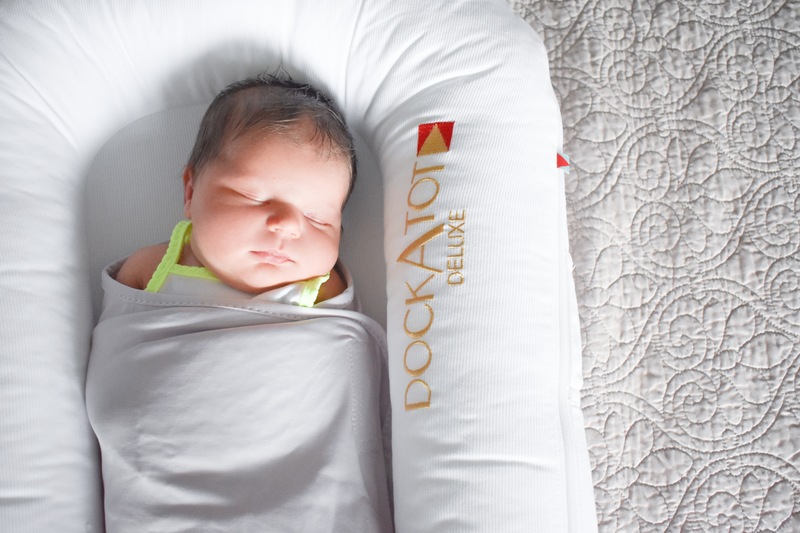 The DockATot is a great option for naptime because I can place Blair wherever Colton and I are playing. Instead of having to nap in one specific area, she can move around the house with us. This helps me to keep an eye on her while not sacrificing time with Colton. DockATot comes in two sizes, Deluxe [0-8 months] and Grand [9-36 months]. 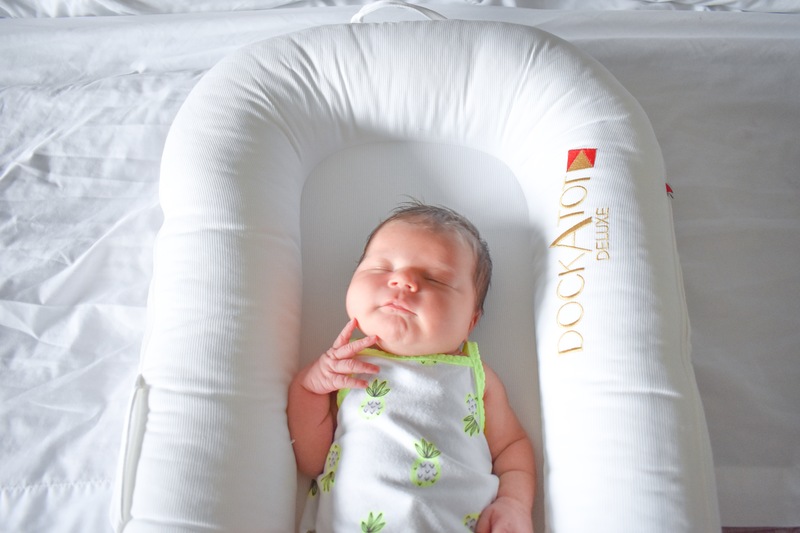 DockATot also a great option for tummy time! Colton loves to climb in the DockATot and show Blair how to do tummy time. He’s such a great teacher for her. We are so lucky that he has wholeheartedly accepted her into our family. He always says that he wants to “show Baby” how to do things, and if we are going anywhere [even to another room! ], he makes sure to ask “And Baby too?” I’m glad that he wants her around. Definitely makes my life easier! Some babies seem to have their days and nights mixed up. During the day, keep windows open and lights on. If it’s just you and Baby during the day, play music in the background to keep up some noise. Of course, those of you with other kids won’t have to worry about creating your own noise! Talk to and play with Baby when he wakes up. At night, keep the room darker and noise to a minimum. Keep nighttime wakings to diaper changes and feedings. Save the talking and playing for the day. Babies like white noise because it reminds them of being in the womb. White noise is very similar to the sounds your newborn heard while in the womb, like your heartbeat or breathing. 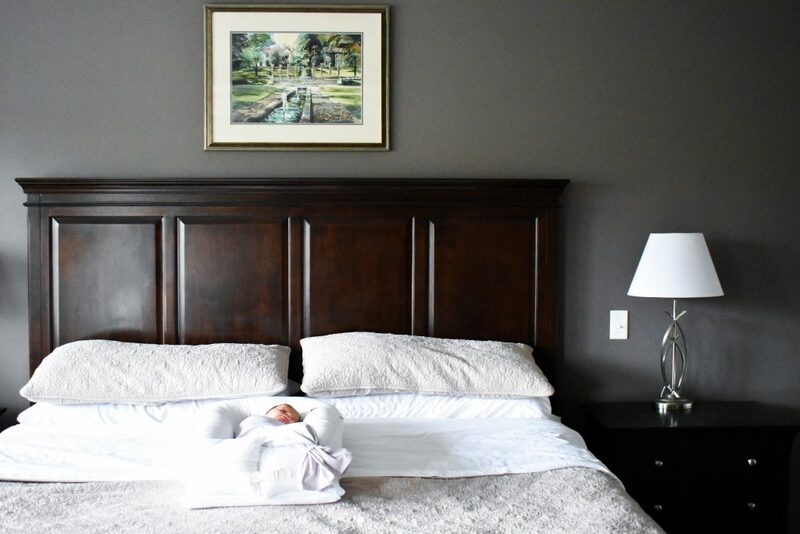 You can choose a white noise machine [some are even specifically geared toward babies], or start by trying a phone app or download a soundtrack to see how your baby reacts. If you are concerned about Baby’s sleep, bring it up with your pediatrician. Our son had silent reflux, which affected his ability to sleep comfortably. When we discussed his symptoms with our pediatrician, we were able to develop a treatment plan that got Baby more comfortable, which meant more sleep for everyone. Finally, don’t forget to review the AAP’s safe sleep guidelines for the latest expert recommendations on infant sleep. 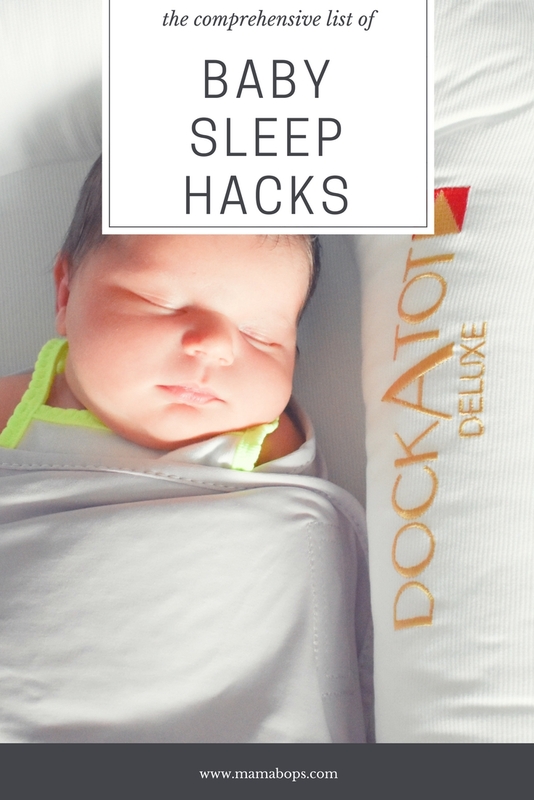 I’m not a medical professional; I’m only sharing the baby sleep hacks that worked for my family. Every baby and parent is different, so it will take some experimenting to learn what works best for you and your baby. The most important thing is not to get discouraged if Baby isn’t sleeping well. It will happen eventually. Probably when you least expect it! Pin these Baby Sleep Hacks for later! 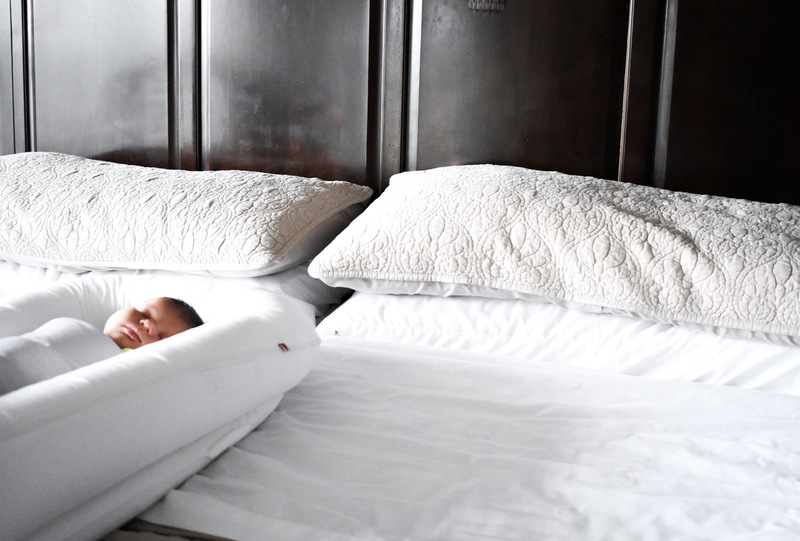 What are the best baby sleep hacks that have worked for your family? Share in the comments below! Did you miss Blair’s arrival? 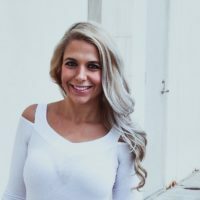 Read her birth story [my VBAC success story!]. Love this! I wish I would have had this post when my daughter was little! Moms can always use more sleep! I don’t have a baby, but these seem like some great tips! Great suggestions! Swaddles and sleep sacks are the best, aren’t they? I kind of want to try co-sleeping with this baby, but kind of not. 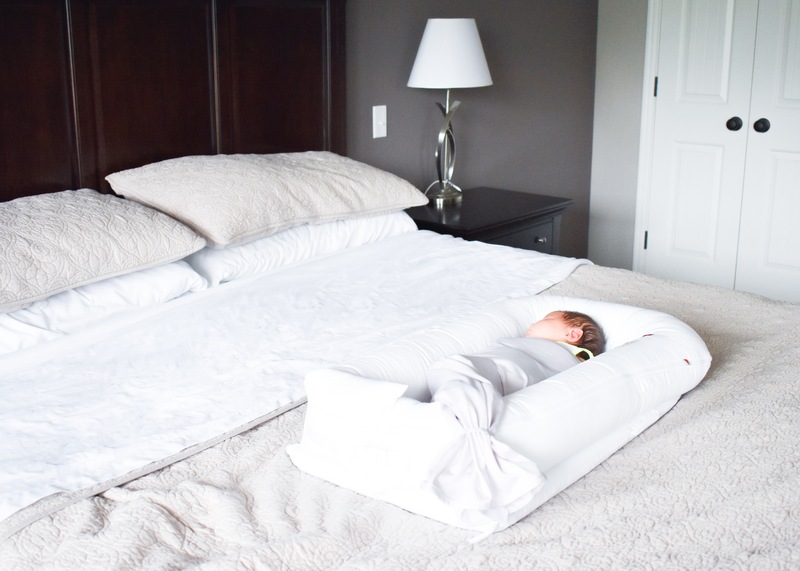 That co-sleeper looks really comfy! Stopping by from This is How We Roll link up. Thank you, Alicia! 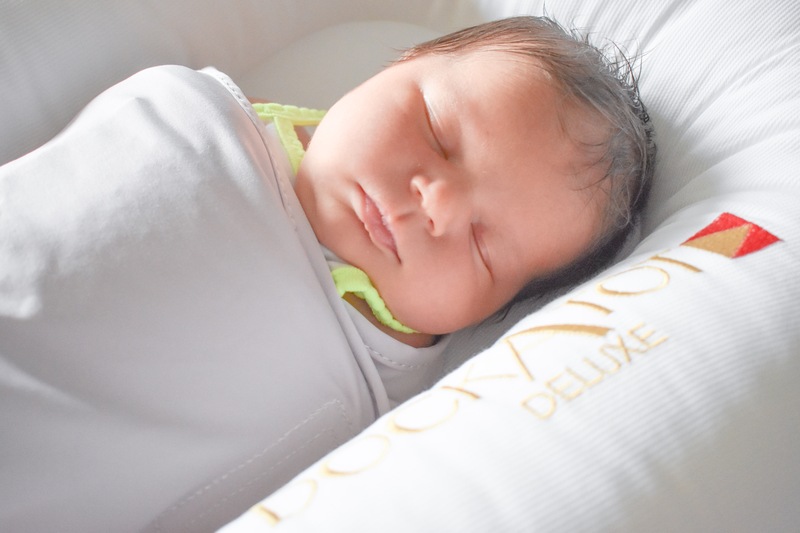 Swaddling can definitely be a lifesaver! My motto is, once you find something that works, don’t change it! These are great tips! 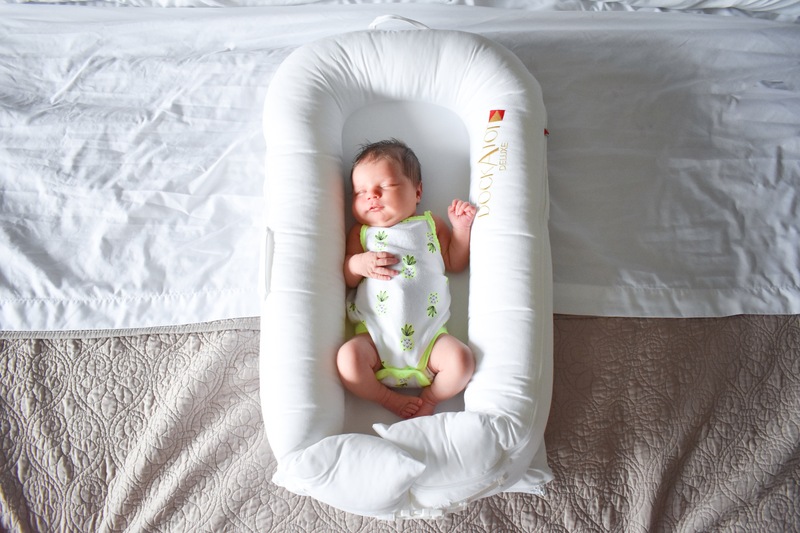 I definitely want to try both the Ollie swaddle and the DockATot with my next baby! I’ve really liked them both! I wish I had them with my first! Thanks for the comment, Mary! What a beautiful little model you have there! I enjoyed reading, it brought back memories. I had 2 that hated swaddling, but with my others it made a world of difference. I’m your neighbor today at “This Is How We Roll” – have a great weekend! Thank you for the kind words, Linda! It’s crazy how different babies can be. My daughter is only a month old, but I can already see her little personality coming out. My mom told me with my first child to keep her in the middle of the family hubbub while she napped and it worked like a charm. All three of my children can sleep through almost anything. Congrats, you’re featured this week at the This Is How We Roll Link Party. 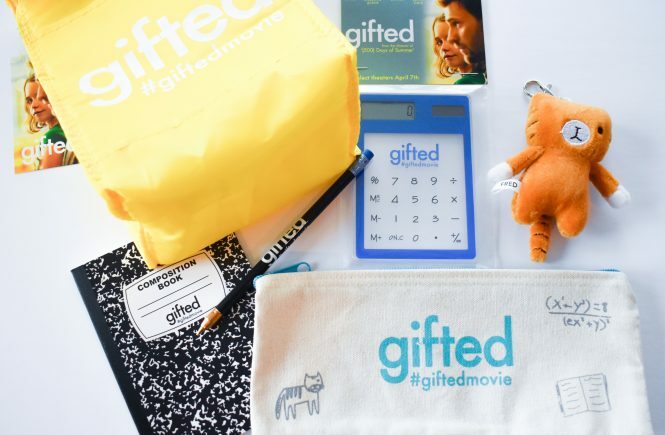 Thank you so much for the feature, Susan! That means so much. I always look forward to your link party!